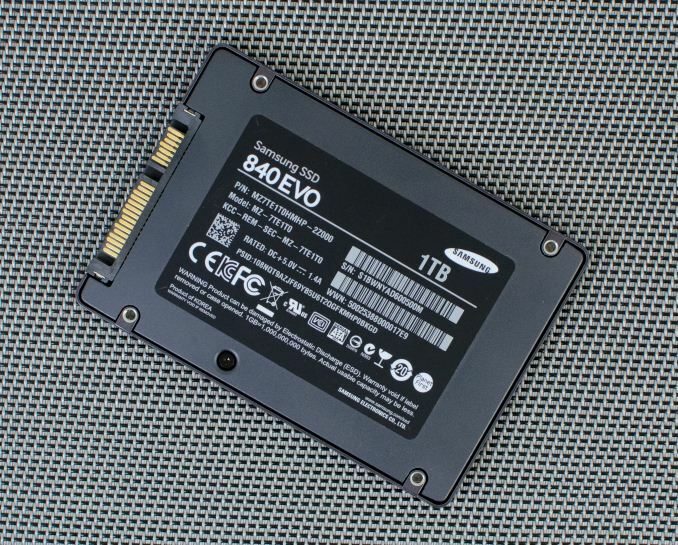 Over the last month there has been some concern over the read performance of Samsung’s 840 EVO drives, and whether after Samsung’s previous performance fix, that these same drivers are starting to regress in performance once again. Since then we have been pressuring Samsung for additional information on the issue and a response, and this afternoon Samsung has finally issued a statement on the matter. 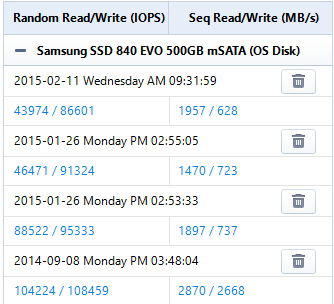 In October, Samsung released a tool to address a slowdown in 840 EVO Sequential Read speeds reported by a small number of users after not using their drive for an extended period of time. This tool effectively and immediately returned the drive’s performance to normal levels. We understand that some users are experiencing the slowdown again. While we continue to look into the issue, Samsung will release an updated version of the Samsung SSD Magician software in March that will include a performance restoration tool. As a reminder, the original 840 EVO performance degradation issue was a result of a combination of NAND cell charge decay and NAND management algorithm issues. While NAND cell charge decay is a normal part of NAND operation, it was something Samsung’s more complex TLC NAND was more sensitive to. Meanwhile Samsung’s algorithms, when faced with this decay, erroneously went into an aggressive read-retry state, which is ultimately what lead to the drop in read performance. Samsung’s fix in turn addressed their NAND management algorithm, and at least at the time was thought to be a permanent fix for the issue. These more recent performance issues and now Samsung’s statement make it clear that the issue is unfortunately not as fixed as Samsung initially thought it would be. At this point Samsung isn’t saying what the root cause of this latest issue is, but it’s likely that this is a continuation of the original issue. In any case the upshot is that Samsung believes the issue can be corrected, however given the last fix it’s not clear whether this next fix will be any more a permanent fix than the last one. "Samsung Releases Firmware Update to Fix the SSD 840 EVO Read Performance Bug"
Dude, Android has _nothing_ on the iPhone! I've definitely noticed a drop in performance on my drive, and am glad they are still trying to resolve the issue.